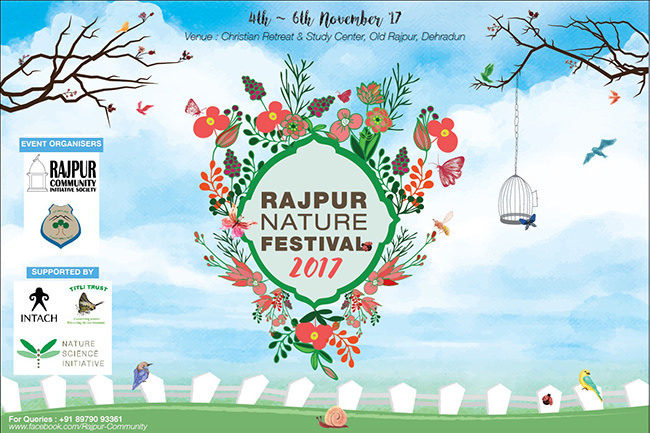 Rajpur Nature Festival (RNF) 2017 is an annual festival celebrating nature and educating people about environment conservation. 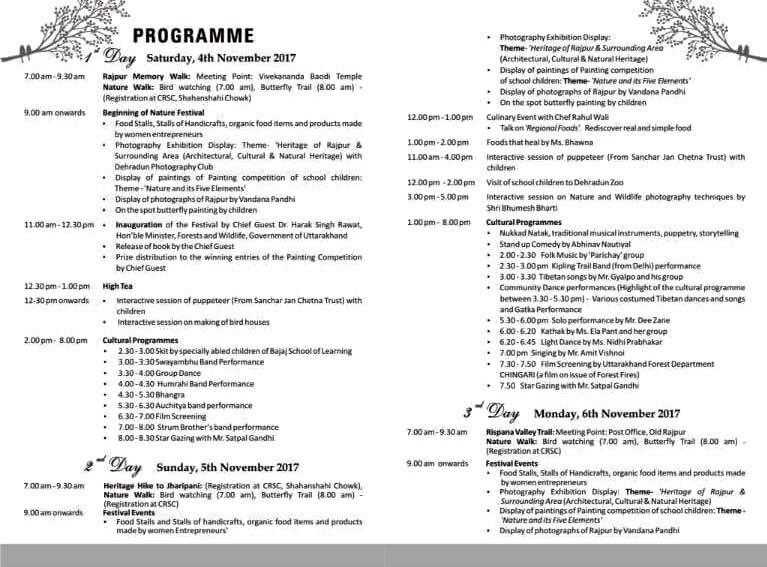 Organised by Rajpur Community, a team of volunteers with ecotourism wing of the Uttarakhand Forest Department, Rajpur Nature Festival is getting high footfalls year by year including nature lovers, environmentalist, students colleges goers, artists, musician and Doonites. 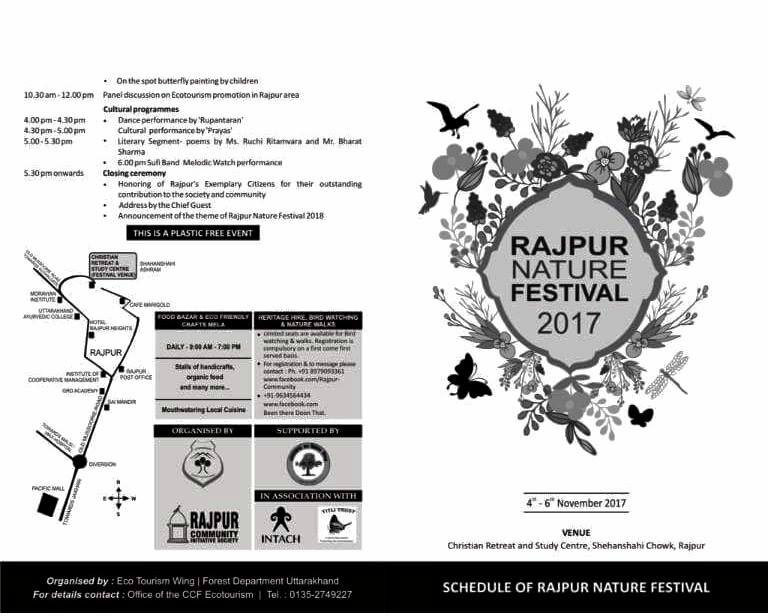 Rajpur Nature Festival 2017 will have various types of art & culture exhibitions, Dance & Song performances, Film screening, Heritage hikes, Nature walks, Interactive sessions, Food stalls and many more.